Two individuals who have worked with the Idaho woman that is being investigated for disposing of Kelsey Berreth’s cell phone say that she and Patrick Frazee had been in a romantic relationship for months. ABC News reported on Monday that a 32-year-old nurse was a person of interest in the case and believed to have possibly disposed of Berreth’s phone in Idaho in the days after she was last seen alive. The woman, whose identity is not being revealed as she has not yet been charged with a crime, could also be the person who had been plotting with Frazee about killing Berreth should the investigation prove she did in fact dispose of the cell. DailyMail.com spoke with two people who know the nurse professionally, and they both said that they had been told that Frazee was having an affair with the woman. The woman was divorced from her husband a few years back, they explained, and had met Frazee at a rodeo. Frazee was in court again on Thursday for a custody hearing, during which time a judge ruled that Kelsey’s parents would continue to have temporary custody of the child. The Berreths appeared via phone rather than have to appear in person and sit just a few feet away from the man accused of killing their daughter and the woman trying to strip them of custody. Neither of those individuals knew exactly when the relationship started, but they believed it could have been as early as 2016 – prior to the birth of Frazee’s daughter with Kelsey Berreth. 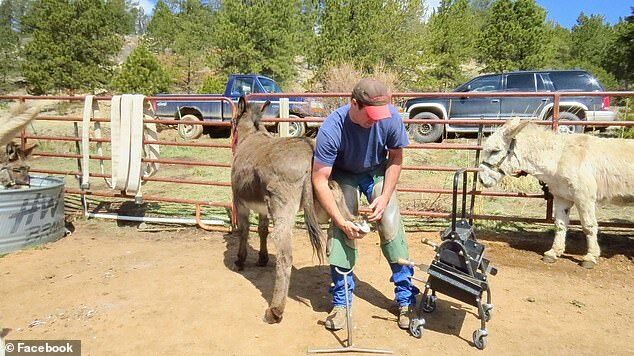 One of the the people DailyMail.com spoke with also said that the nurse was in Colorado around Thanksgiving. That would explain how Frazee was able to get the cell phone to Idaho while never leaving the state. It was reported last week that police in Idaho who are working with authorities in Colorado appeared to have discovered the missing mom’s cell phone. The Twin Falls Police Department revealed that officers from the force played a role in the investigation by obtaining search warrants and examining evidence in the case. Berreth’s cell phone pinged off a tower in Gooding, Idaho, on November 25, three days after she went missing and around the same time her employer received a text stating that she would not be in for work that week. The location it pinged is about 800 miles from where Berreth was last seen. The nurse’s identity is being withheld because she has not been charged. 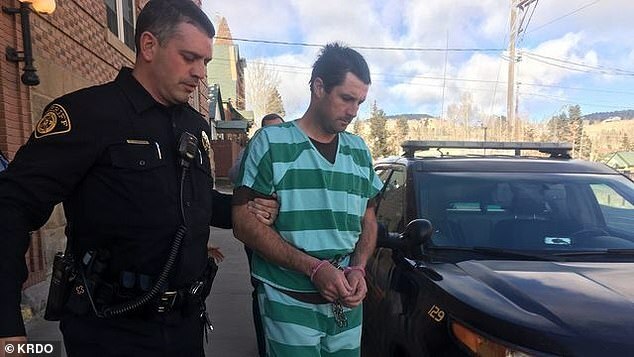 The affair revelation comes three days after Patrick Frazee was formally indicted on murder charges in the case, though no other arrests have been made at this time. The complaint that was filed in the case did state however that Frazee had plotted the murder of Berreth with at least one other individual in the three months before she went missing. Authorities have yet to discover a body or any of Berreth’s remains at this time, but prosecutors said on Monday that there investigation has yielded enough evidence to suggest the two ways in which the 29-year-old mother was killed by her fiance. Frazee will be back in court on Friday for what is expected to be a four-hour hearing on motions in his upcoming murder trial. And on Thursday he may also be making an appearance at the Teller County Courthouse due to a motion filed by his mother last week requesting custody of her son’s daughter Kaylee. Custody of the 14-month-old baby was granted to the parents of Berreth last week after officials announced that they believed the missing mom, 29, was dead. That same day her fiance, Frazee, was charged with her murder. The custody ruling was only a temporary one however, after Sheila Frazee filed a motion declaring she wanted parental rights to the infant. A Temporary Emergency Custody Order was made by the Teller County Department of Human Services on December 27 that placed Kaylee in the temporary physical custody of her maternal grandparents while granting legal custody to TCDHS. That was the agreement prior to that time in the days after Frazee was arrested, but there was an unexpected change when Sheila filed a motion to intervene. She has remained a staunch defender of her son through this all, despite not speaking publicly once. 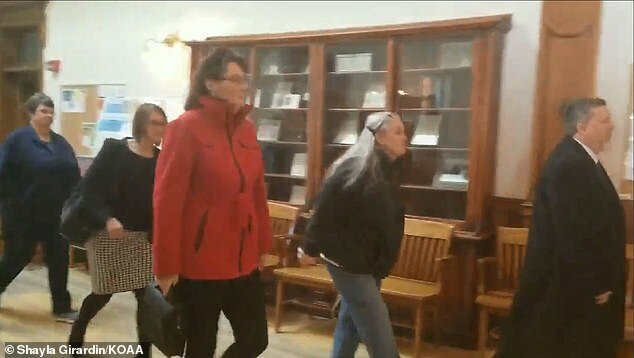 The mother-of-three is at all of her son’s hearings, filed the custody motion and for the past 20 years has lived alone with Frazee on her 35-acre ranch. And she was even detained when he was arrested, but never charged or accused of being involved in the death of Berreth. Frazee had been plotting the murder for close to three months, according to court documents that were filed on Monday. 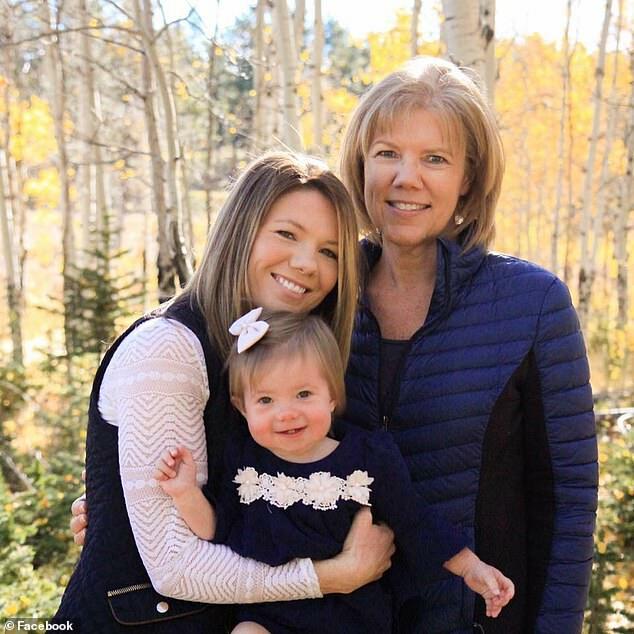 That would have been just a few months after Berreth purchased a home in Woodland Park for her and infant daughter Kaylee. She spent $184,900 on a two-bedroom property about 15 miles away from the ranch where Frazee lived with his mother despite the fact that the two were engaged. That home is where authorities believe Berreth was murdered on or around November 22. Berreth was last seen at a Safeway store in Woodland Park on Thanksgiving.